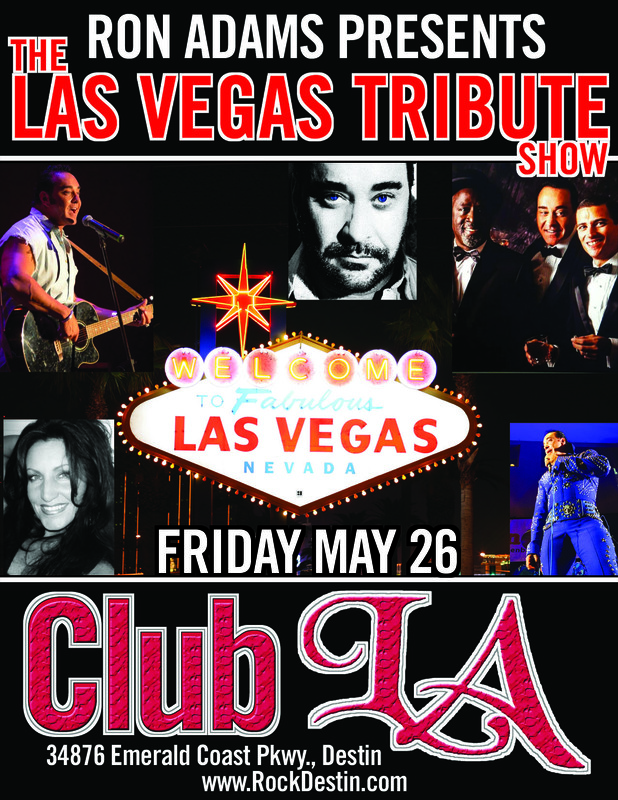 On Friday May 26th, Ron Adams Entertainment Presents ‘The Las Vegas Tribute Show’ at Club L.A. Destin. “We have such great talent, I’m excited to bring this show to Destin with top-notch performances,” shares Ron Adams about the concert which will tribute Wayne Newton, Bobby Darin, Cher, Tina Turner, Tom Jones, Frank Sinatra, and Elvis Presley. Doors open at 6:30, with live music beginning at 7pm and the show will go on late into the night. This entry was posted on March 29, 2017 by 850music in Posts and tagged press release.